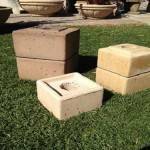 Concrete Fire Bowl Pedestals are perfect for completing your Fire Feature Designs. They are a great addition, and add height and value to your Fire Bowl. Choose from our many styles and sizes, including our Round or Stackable Square Pedestals, Tuscany Pedestals and Ledge Stone Pedestals. 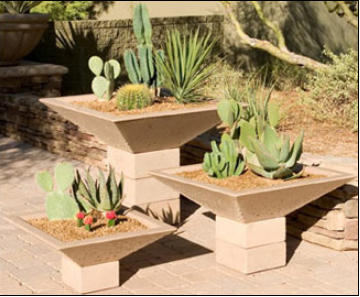 Concrete Fire Bowl Pedestals are easy to place and stack, and look great. You can also get your Round Pedestal or Tuscany Pedestal in one of the many colors we offer. 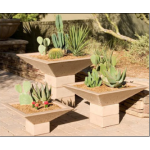 Matching your Concrete Fire Bowl to your Concrete Pedestal is no problem.